Located near the Arctic Circle and 300km from Greenland a photo tour along the South Coast of Iceland will be an unforgettable journey witnessing the black sand beaches, breathtaking waterfalls and, if on the winter tour, possibly the Aurora Borealis. There is an autumn and winter departure for this tour. This photo tour offers 12 days of exploration in all-terrain vehicles. 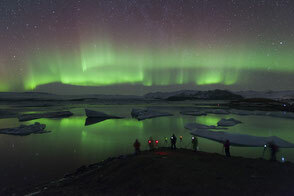 You will discover solitary beaches, geothermal activity and witness Iceland in all its splendor. 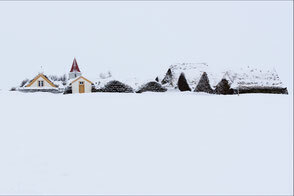 This is a unique tour allowing you to get to know the wild, secret and intimate Iceland which only the locals witness. À quelques centaines de kilomètres des côtes du Groenland et à l'écart de la route circulaire n°1, les fjords de l'ouest sont réputés pour leur tranquillité, leurs paysages grandioses et sauvages, à la flore et à la faune préservées. Sept à huit mille habitants peuplent la région, seulement dix pour cent des touristes qui visite l'Islande s'y rendent. Profonds et majestueux fjords désertiques peuplés de phoques et de baleines, maisons traditionnelles colorées, villages de pêcheurs minuscules, falaises peuplées de millions d'oiseaux avec le macareux moine pour emblème, les fjords de l'ouest sont un havre de paix, hors du temps et loin de l'agitation. Travel to the majestic and awe inspiring West Fjords and capture one of the remotest areas of Iceland. You will be able to bathe in natural hot springs and visit sweeping, unspoiled beaches. 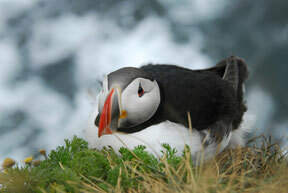 You will see puffins on rugged cliffs and witness these clumsy birds take flight. This will be an unforgettable trip to a remote corner of Iceland. This tour is currently being developed, please check again for more information. Located in the heart of the North Atlantic at 62°N, the Faroe Islands are steeped in a wild beauty that comes from its geographical position. An archipelago made up of rugged ocean landscapes, villages with colourful architecture, endless wildlife and breathtaking cliff formations. The mythical land of Connemara offers a glimpse of a rugged and wild corner of Ireland. Its coast, beaten by wind and waves stands proudly at the Atlantic Ocean. 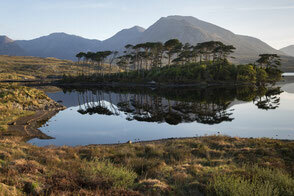 It is here between cliffs, hidden beaches and wild heaths you will discover the true beauty and charm of Ireland. 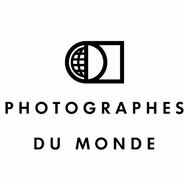 During this weekend you will learn and practice your photography at Mont Saint Michel. Set in a beautiful marine area you will discover the beauty of this landscape. You will be able to marvel at the history, beauty of an important Medieval site. 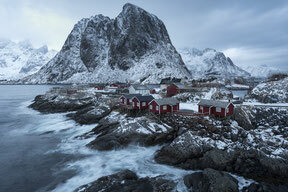 Visit the Lofoten Islands in Norway for an unforgettable photographic journey. 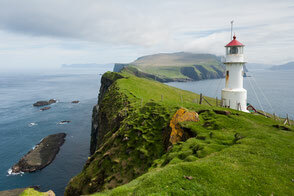 Visit vast fjords and beautiful towns and villages along the rugged coastline. The mountain ranges on these 5 islands are breathtaking and this tour offers many more stunning opportunities.